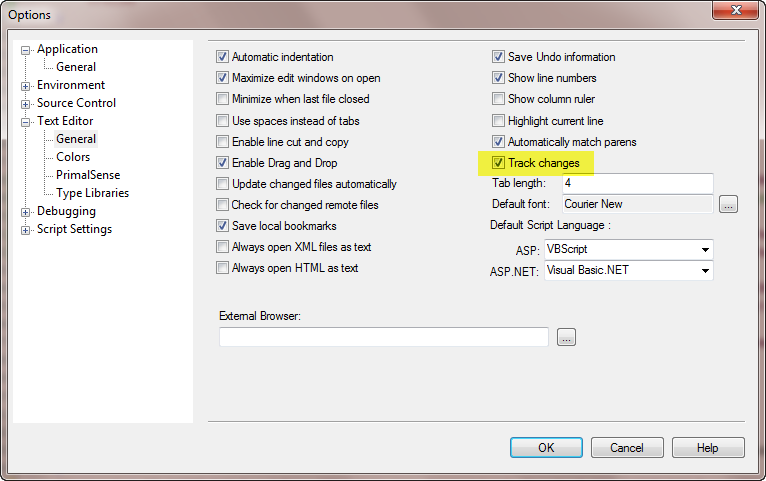 Users of Microsoft’s Visual Studio have known this feature for a few versions: Anytime you edit a line in your code an indicator in the left border of the window marks the line as changed. Once you save the file, the indicator turns green, signaling that the changes to this line have been saved. 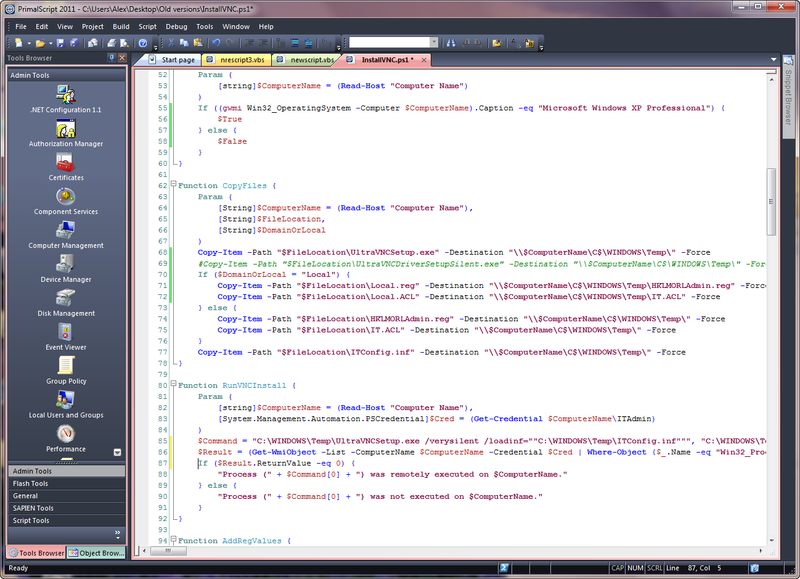 Obviously the above screenshots are not from Microsoft’s Visual Studio, but from PrimalScript 2011. 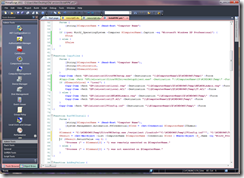 But to take things a step further than just copying Visual Studio’s feature like so many “canned” edit controls, we have added a little twist we think you will like. These change indicators not only visually show you where you modified your code, they also work as instant automatic bookmarks. Pressing Ctrl+Shift+Down or Ctrl+Shift+Up will navigate you to the next block of changed lines forward or backwards respectively. Contiguous modified lines are considered one block and using these key combinations will position the caret at the beginning of a block. If you reach the end or top of the file the search for the next modified block will just wrap around. So if you work in longer files in a number of places at the same time, going back and forth between the areas you are editing just got a lot easier. For those of you not wanting to add more color to your screen, of course there is an option to switch all this tracking of changes off. Comments? Suggestions? Feel free to comment here or visit http://support.sapien.com and use the Wishlist forum. 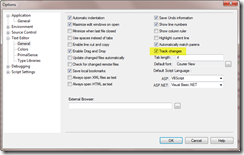 Pingback: SAPIEN Technologies » Blog Archive » Feature Peek 2011: You can Track Changes for PrimalForms too!